June 8, 2015; Elevation D.C.
A nonprofit called Mary’s House for Older Americans is creating Washington, D.C.’s first home for LGBT seniors. With a six-unit facility to be created in the Fort Dupont neighborhood, Mary’s House is named after the mother of the nonprofit’s founder, Dr. Imani Woody, who herself is lesbian. Mary’s House will be joining similar developments in Los Angeles, Minneapolis, Philadelphia, and Chicago serving lesbian, gay, bisexual, and transgender seniors. Why a separate facility for LGBT seniors? “Targeted housing and services provide a safe space for seniors that are from a generation that is less comfortable with being ‘out’ and discussing the challenges they face as they age, such as loss, chronic illness [and] caregiving,” says Alayna Waldrum, a housing legislative representative at LeadingAge, a nonprofit coalition of organizations and foundations serving aging individuals. Why build such a facility in D.C.? The District is the nation’s leader in the proportion of adults—10 percent—who identify as LGBT. Presumably, LGBT seniors are well represented in that population cohort but, as LGBT seniors, may face “discrimination at much higher rates than their heterosexual counterparts,” according to author Christina Sturdivant. 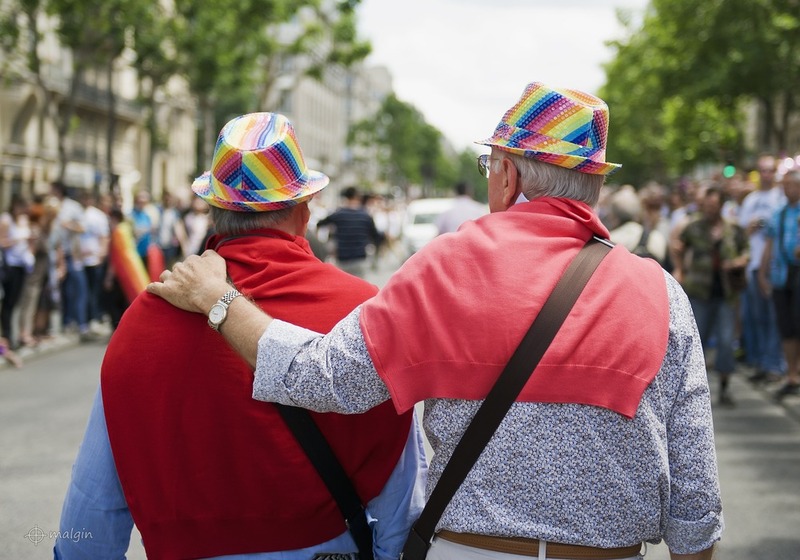 The need for a supportive community that can help older LGBT persons open up and share experiences and needs seems evident in the particular challenges faced by this population, as the “Disparities and Resilience” study details. Earlier this spring, Services and Advocacy for GLBT Elders (SAGE), one of the organizations cosponsoring the study, launched a national initiative on the LGBT older adult housing crisis. Housing is a significant issue for older LGBT persons. A 2014 report from the Equal Rights Center documented the differential treatment this population receives in attempting to get housing in senior living facilities. The housing discrimination barriers faced by older LGBT adults in accessing senior facilities, compounded by reports of discrimination in the private housing market and very high rates of discrimination against transgender persons, makes for a compelling case for a housing initiative for LGBT seniors. Age and seniority play a factor in whether individuals disclose their sexuality in the workplace. The higher a person’s position, the more likely they are to be “out.” For instance, 62.5 percent of executives and senior staff were “out” versus approximately one-third of participants working in program, support, and other staff roles.